India has given proof to the US about the use of F-16 fighters and AMRAAM beyond visual range air-to-air missile by Pakistan during its unsuccessful aerial raid targeting four Indian military installations on February 27, official sources said Tuesday. They said India was confident that Washington was carrying out a thorough investigation into the use of the US-manufactured fighter as well as the missile onboard it in the offensive operation against India. As part of the purchasing agreement, the US had put restrictions, the US had reportedly barred Pakistan from using the F-16s against any third country and it was only allowed to operate the fighter in self-defence and for anti-terror missions. 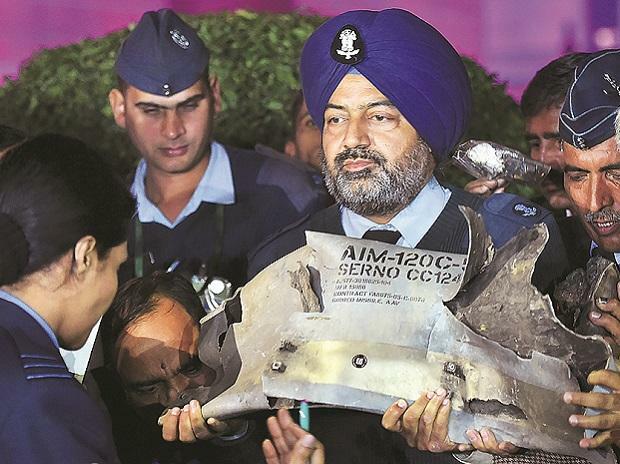 The Indian Air Force on February 28 displayed parts of an AMRAAM missile as evidence to "conclusively" prove that Pakistan deployed US-manufactured F-16 fighter jets during an aerial raid targeting Indian military installations in Kashmir. It said Pakistan does not have any other fighters capable of firing an AMRAAM missile. Pakistan has categorically said that no F-16 fighter jets were used in the aerial combat against India. The US State Department has said that America is seeking more information from Pakistan on the potential misuse of American-made F-16 fighter jets by it against India in violation of the end-user agreement. After the Pulwama attack, the Indian Air Force carried out a counter-terror operation, hitting a JeM training camp in Balakot, deep inside Pakistan on February 26. The next day, Pakistan Air Force tried to target Indian military installation in Kashmir but was thwarted by the IAF which lost a MiG-21 while its pilot Wing Commander Abhinandan Varthaman was captured. He was handed over to India on Friday. AMRAAM missiles allow a fighter pilot to target an enemy aircraft that is beyond visual range, in day or night, and in all-weather conditions. They have an autonomous guidance capability, which allows the pilot to manoeuvre immediately after the missile's launch.